Solvent extracted jasmine grandiflorum flower absolute from India. 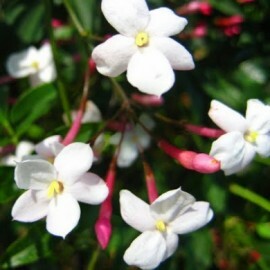 Also known as Spanish jasmine, royal jasmine and Catalonian jasmine. Species: Jasminum officianale. grandiflorum L. Family: Oleaceae. Class: Ester.